Truly, long hair can sometimes be a curse or blessing depending on how you treat it. 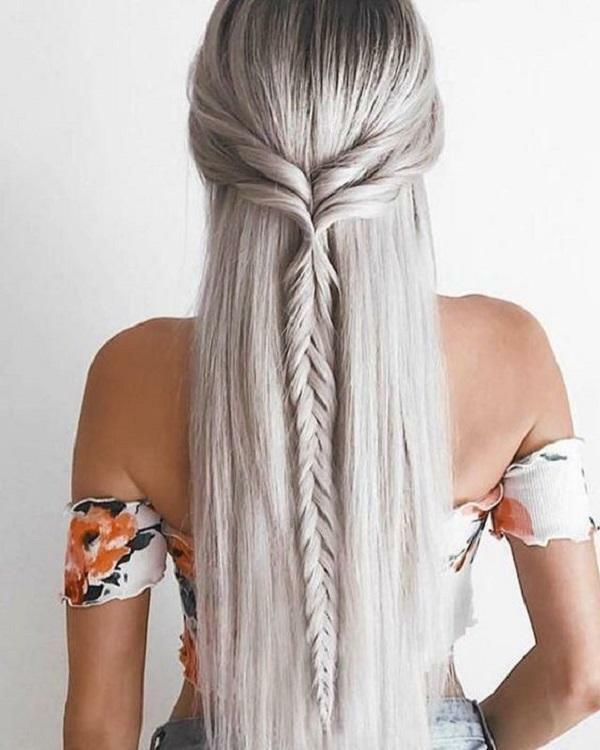 A person with long hair takes much time to style it compared to one with medium or short hair. But with this article, I assured you, it will be very easy to make long hair more beautiful and attractive as well. Currently, many people in the world especially women are transforming normal old ponytail to supper long one. What are you supposed to do in order to achieve this hairstyle? You are only required to develop two small ponytails and meld them together. 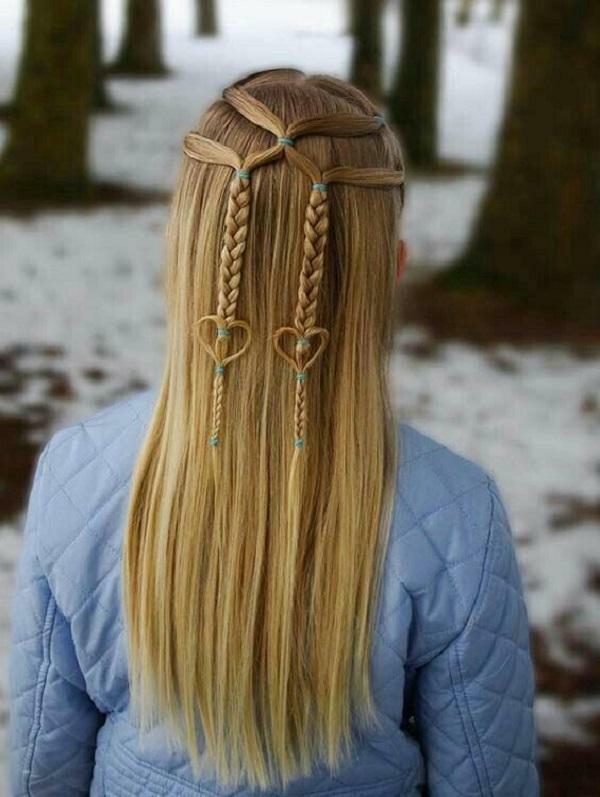 If you are among those people who love the front braids but lack time for maintaining it, I advise to give this style a try. The main secret here is to pull up all your hair on the top of the head. 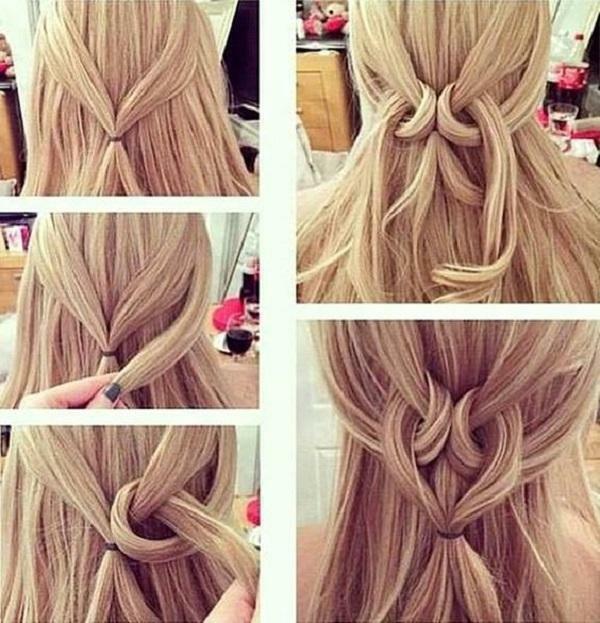 Then use the hair of the end as bangs. See how to achieve this, please. 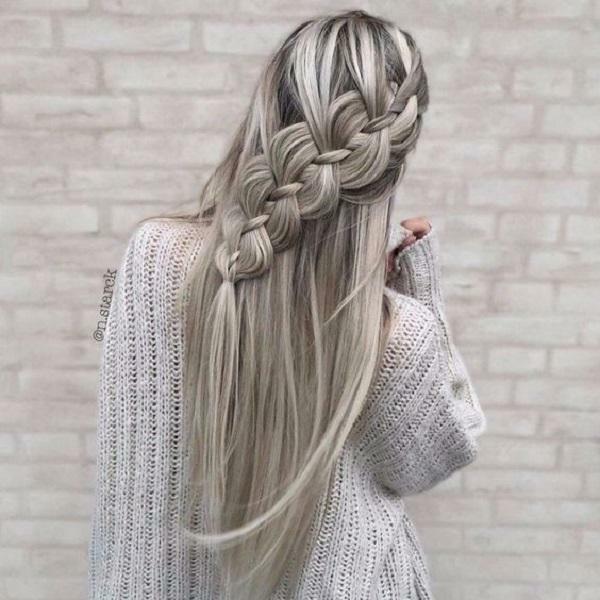 Are you looking for the best-braided style? 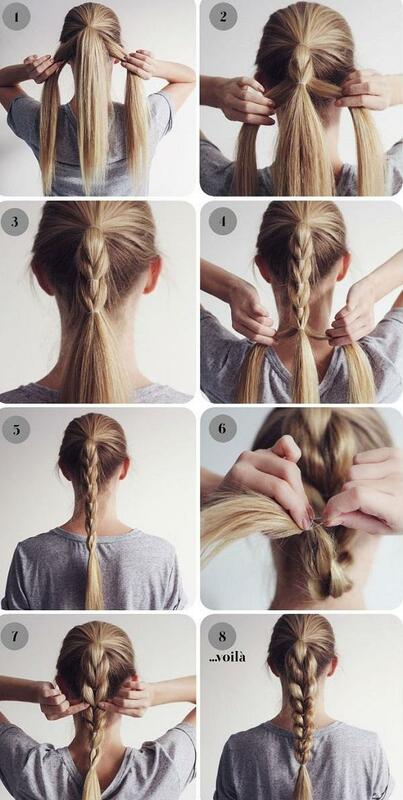 Just try this double braid! Though the style physically looks quite hard to maintain, it is actually simple and required only about 10 minutes to make you cute. 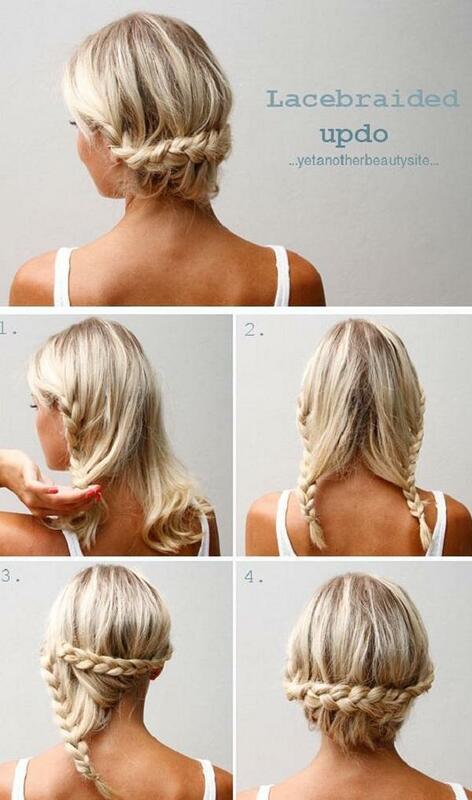 A very easy hairstyle. Just need elastic headband. Curl your hair with a 1′ curling iron or flat iron and you are ready to go head out the door. 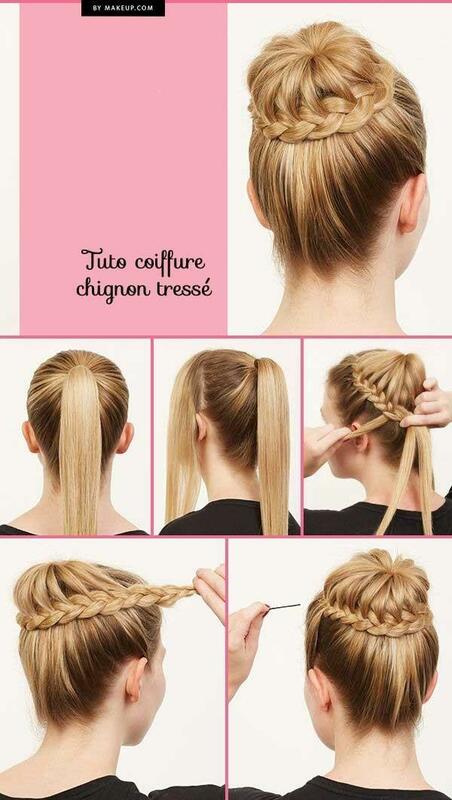 Are you looking for the best hairstyles for the wedding? This style is the best and perfect for the wedding or in any event in which you would wish to keep the hair up, beautiful, and attractive. 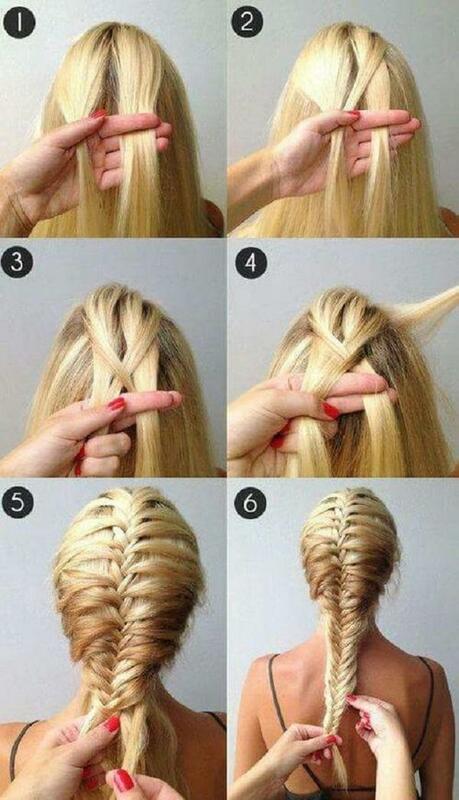 Though this style is similar to the fishtail braid, it stands out as the best hairstyle for the wedding. Make your long hair looks smart and attractive by giving beach waves a try. 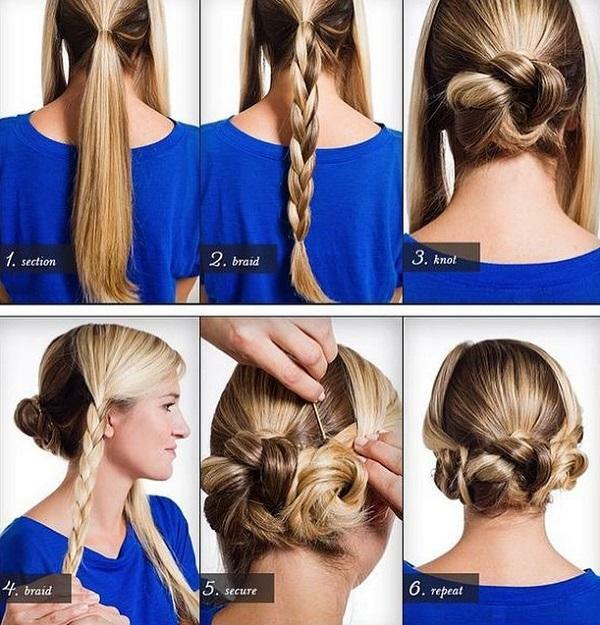 This style is good and great for the second-day hair. Why wait and waste an opportunity! 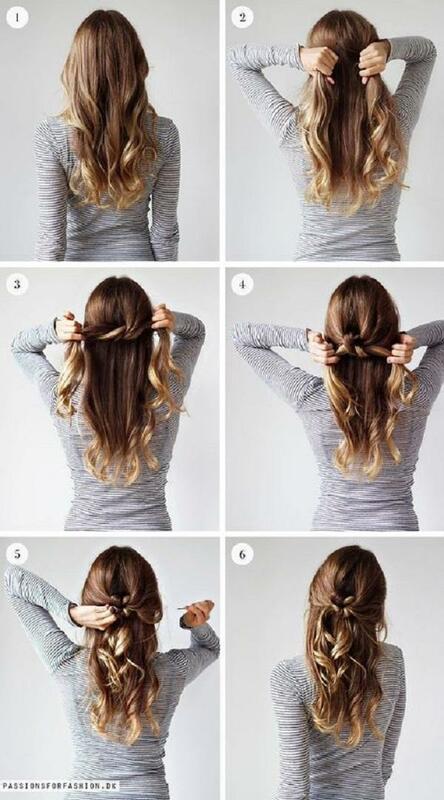 Grab some hairspray and curling iron to start making it and enjoy your life as people admire your hairstyle. 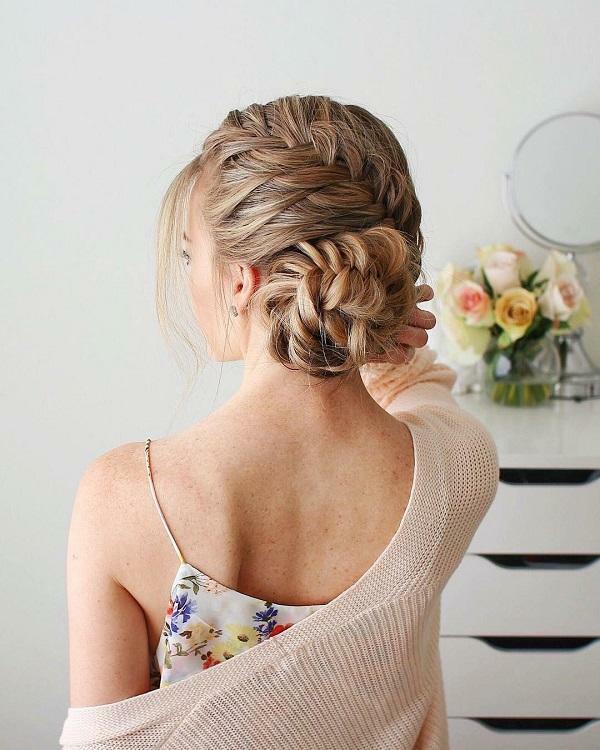 This is another perfect unique braided updo hairstyle for the wedding as it wows the guest because of its unique look. 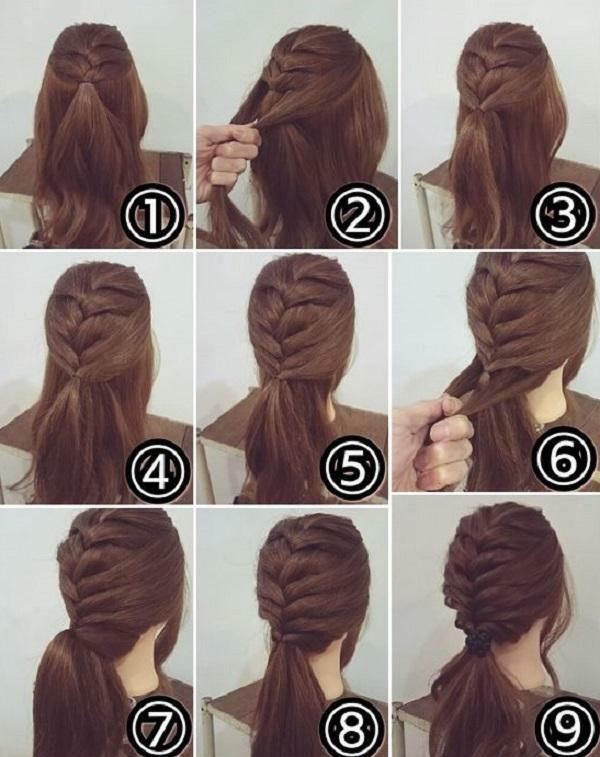 You can achieve it by creating large but loose braid just around the forehead. Unfortunately, those with thin hair cannot go for this hairstyle. You only need to have very thick hair and if you have none, I advise you to add extensions to increase the volume. 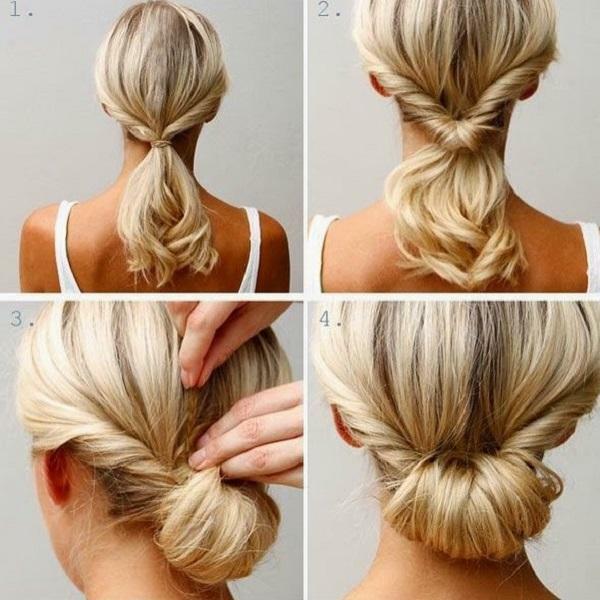 Certainly, braid the hair and make it safe by securing it in a bun shape. 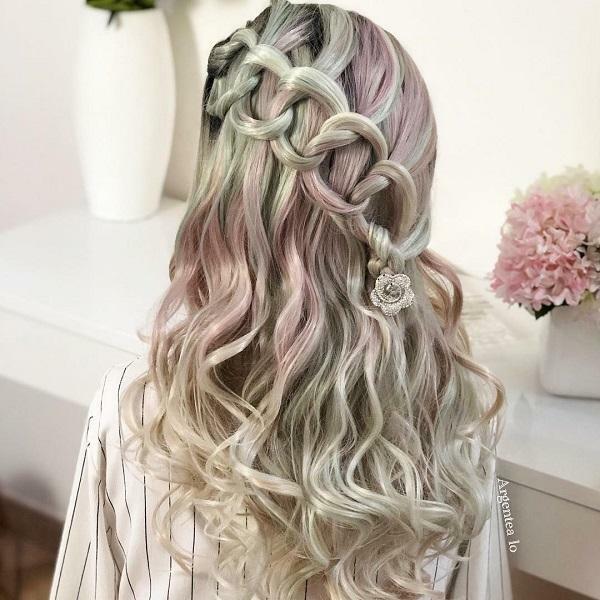 To better this hairstyle, it is better to visit hair professional around. 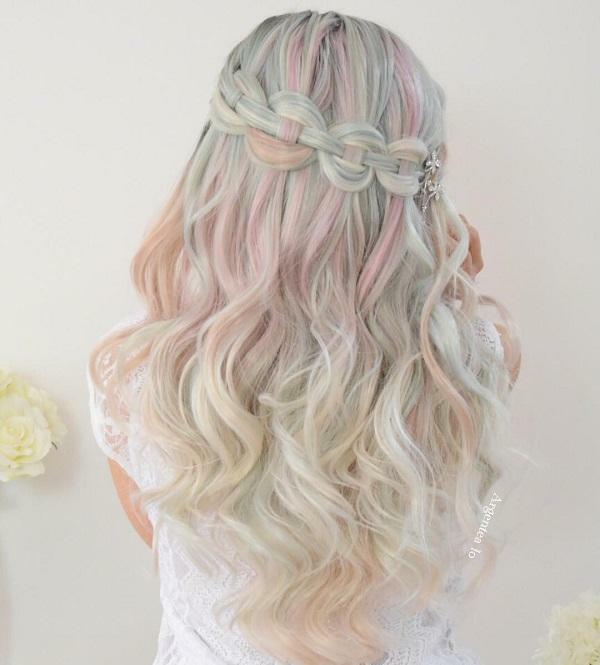 As the name suggests, this is a unique hairstyle that has two elements that differ, that is a waterfall style and cluster of curl. Though it has two different elements, it is the easiest to perform/do as it is note more complicated. Make your way to the saloon now and ask for this style.